The form customization is perfect. Very easy to use. The insight we get from the form's (GPS) data is nice as we do not have to mandate fields anymore. The ability to pass thru a lot of data on the back end works for our process. The internal receiver (customer service or sales reps) of the form data knows exactly what campaign the lead came from, what clinical specialty is tied to the prospect and what product is of interest. All seamlessly. Honestly, at this point I could not make any "worthy" suggestions I am happy thus far! Allocadia showed the biggest advantages in regards to the individuality and personalization of the tool as well as in regards to the costs. It provided the services and features we were looking for. While other software had a big load of additional features we were not looking for, Allocadia was the perfect match. 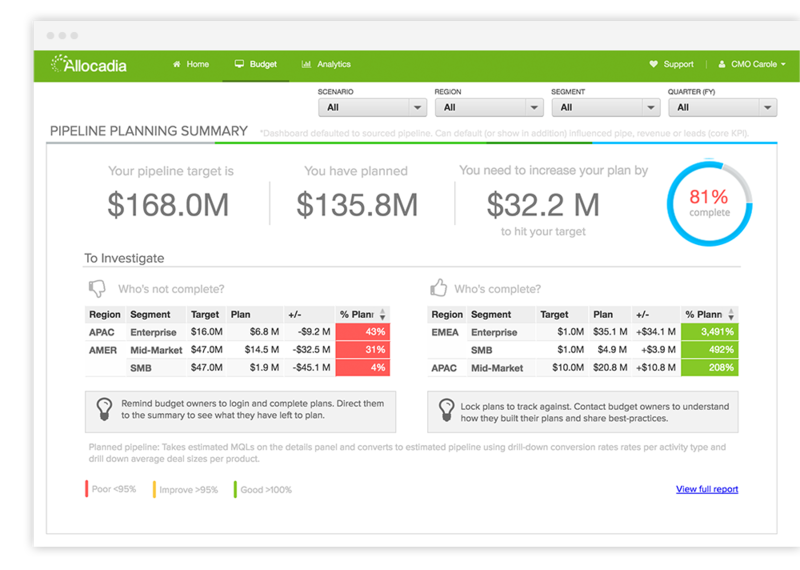 Allocadia's integration with Salesforce.com allows for complete marketing and sales funnel tracking, conversion, and spend analytics. 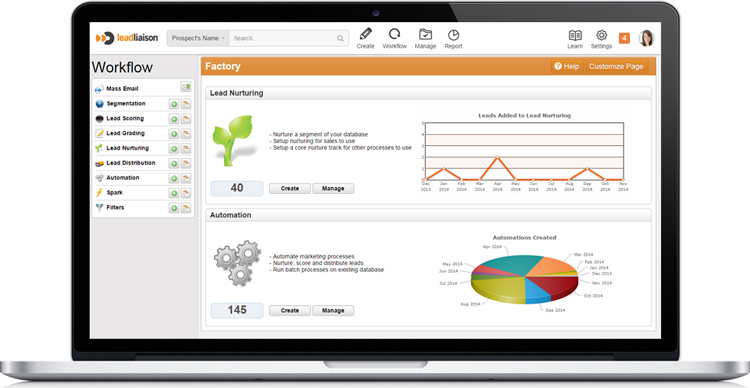 Allocadia's visual display and representation of ROI is incredibly helpful for end users. Allocadia's analytic capabilities allow you to refine your marketing tactics by analyzing trends, allowing you to choose the most effective marketing activities, or types of marketing activities.